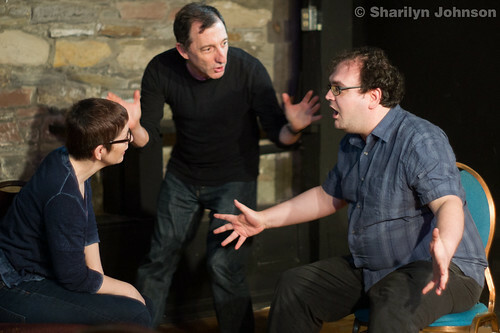 Veteran improviser and ADD Comedy podcast host Dave Razowsky put in some heavy-duty stage time at Revel Theatre Collective’s monthly Barn Burner show in Toronto Sunday night, as he joined his weekend improv workshop participants in a series of three-handed scenes and guest starred on a live recording of the Illusionoid podcast. 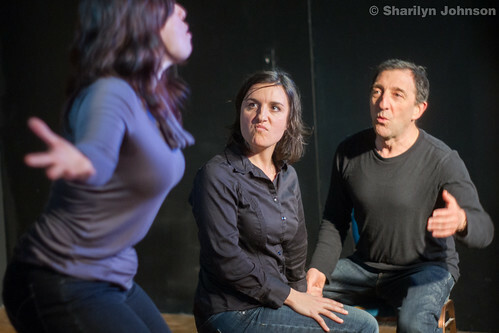 The students, primarily improvisers with Impatient Theatre Co., spent two days in an advanced workshop focusing on relationships and connecting. 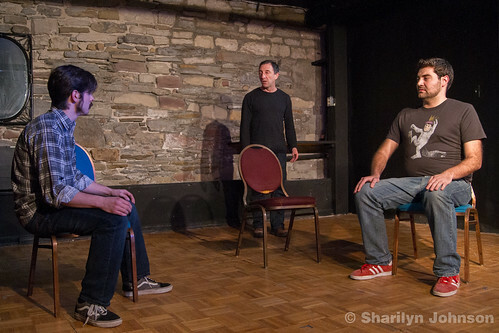 Each scene featured Razowsky with a pair of students, and the trios began (and often remained) seated, which added weight to the dialogue and made the connections that much more pronounced. The premises ran the gamut from catty girlfriends to a trio of murderers, and each quickly became satisfying in both story and depth of character. 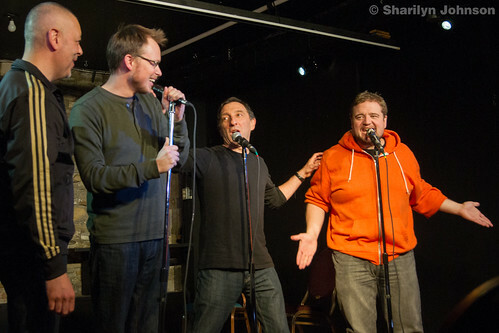 For the second half of the show, Razowsky joined Nug Nahrgang, Paul Bates, and Lee Smart for a live recording of the improvised science fiction podcast Illusionoid, this time a tale of a military operation to take down the evil Count Ruthanium by going undercover as an indie rock band. 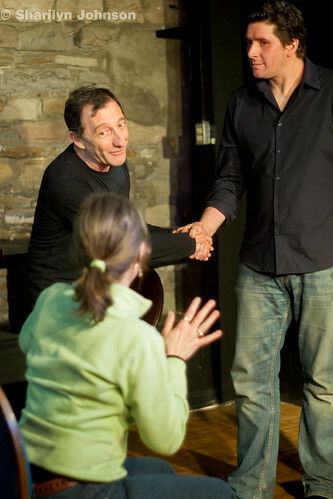 The episode is scheduled for release Feb. 12, via iTunes and the show’s website.